With proper introductions, some advanced planning, and making sure that you've got all the right "gear" ready when kitty first comes home (or very soon thereafter), your new cat's adjustment period can be smooth(er) sailing ... for everybody. Check out the tips and recommended products below and see if you can't get your kitty as comfortable as possible, as quickly as possible. Diffuser: This plug-in releases a steady, low-level of the pheromone within the room/area where it’s plugged in. It covers an area of approximately 700 s.f. and lasts for about a month. I recommend using a diffuser at least in the room/area where your cat's litter boxes are and perhaps also in the room where they spend most of their time. Spray: I find the spray formulation most useful for a quick spritz into your cat's carrier before heading into the car or to the vet, or on a surface where your cat is inappropriately peeing or scratching. It literally just takes a spritz or two and never right on your cat. Catnip can help cats relax and engage in play, both of which can help reduce stress. You can get catnip in its dry form for sprinkling on scratching pads or your cat's bed. It's also available as a catnip oil spray, which can be great for spraying your cat's toys or in their carrier. And, of course, there are refillable catnip toys for your cat to bat around and play with. While many cats like and do well with their “catnip high,” playing and becoming calm and content, you should know that there are some cats that actually become hyper and potentially a little aggressive under the influence of catnip. And there are also some cats that aren't affected by catnip at all (estimates put it at about 30–35% of cats that aren't affected). So, if you haven’t used it with your cat(s) yet but plan to, it might be best to do a little test and see how they respond first. Catnip does not lose its potency over time but typically the effects of catnip last only about 10 minutes to an hour. They say that music soothes the savage beast; well it can also soothe a stressed kitty. The folks who brought you the Through A Dog's Ear music line for dogs also have a series of CDs full of music "bioacoustically" composed to help calm cats. There are three volumes in the Through A Cat's Ear cat calming series: Volume 1, Volume 2, and Volume 3. 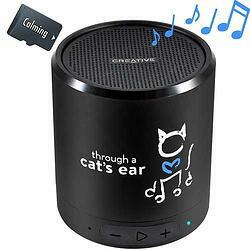 They've also created an all-in-one speaker and music player pre-loaded with their cat-calming music that you can take with you on your travels or leave behind at home when you head out. You can check out the iCalmCat player (inset photo). Cats need to scratch and they love to laze around, so to help them do what they need and love to do, and to help save your furniture in the mean time, be sure to provide your new cat with plenty of scratching pads and posts, as well as a cat tree or wall perch. 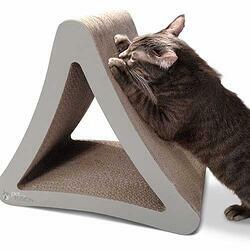 When it comes to scratching surfaces for your cat, variety is often the name of the game. 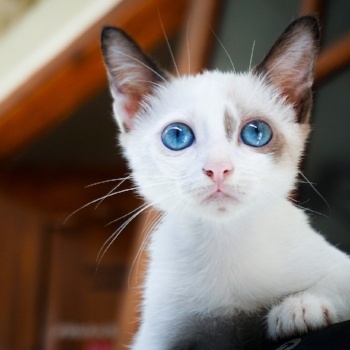 To give your cat the best variety and increase the chances that they'll scratch only where you want them to, provide both post and pad-type scratchers, and try a variety of different scratching surfaces, too. And here's a great product to really help ensure that your cat is more likely to scratch on the posts and pads you've gotten them, rather than on your furniture or carpets: Feliscratch is a pheromone from the cat's paws that has been shown to help direct scratching behaviors in cats. Learn more about cat scratching and how you can help redirect it. This multi-level cat tree and tower is great for cats! Not only does it have multiple levels for cats to explore and lounge on, but it also has scratching surfaces to help entertain your cat. 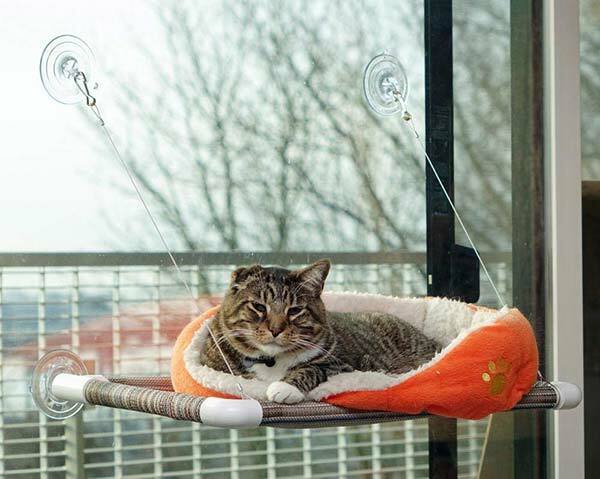 Give your cat an awesome elevated perch for them to "take it all in from," check out the Kitty Cot (photo below). 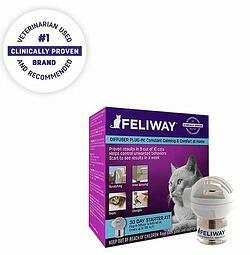 Pro Tip: To really "up" your cat's relaxation game, every now and again, give the mat on their Kitty Cot a spritz with the Feliway pheromone. Cats are master sleepers, and can pretty much sleep anywhere and in all kinds of contorted positions. 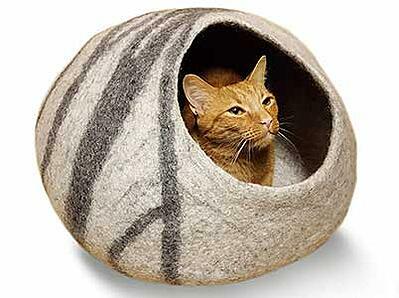 But cats often also love their privacy and cozy little areas to curl up. You could always just give your cat a cardboard box to snuggle up in, but one of these felted wool cat cave beds (photo below) would look sooo much better in your living room! And your cat will think it's super inviting and comfortable, too. And for this all-too-common occurrence, check out these tips if your cat's waking you up way too early in the morning. Just as your cat has got to sleep, they'll also need to do their "business." You can make it more likely that your cat will actually do said business IN their litter boxes by (1) scooping their litter boxes daily, (2) putting their boxes in a variety of locations, and (3) perhaps even using a litter with a "litter box attractant." Consider using Dr. Elsey's Litter Attract options at the links below, and check out our Litter Box 101 article series for more details and important info on doing litter boxes right for cats. [How to Choose a Litter, How to Choose the Best Litter Boxes, and How to Set Up Your Cat's Litter Boxes.] Dr. Elsey is a feline-only veterinarian and, like myself, has seen far-too-many sad cases of the results of cats not wanting to use their litter boxes ... from cats being relegated to the outdoors, turned over to shelters, or even brought in for euthanasia, to cats suffering from painful, inflamed bladders ("cystitis"), a blocked urinary tract ("urinary obstruction" — absolutely devastating condition! ), and constipation. Not to mention the (understandable) sadness and frustration that a lot of cat owners feel when their kitty is eliminating outside of their litter boxes. Dr. Elsey's "Cat Attract" litter (and litter box additive) is the only litter specifically designed to help cats who don't use their litter boxes consistently. 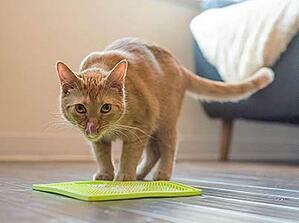 Using it can help cats, from day one, use their litter box every time. There's also a formula for kittens. Trust me, litter and litter boxes are definitely areas of caring for your kitty that you do NOT want to get wrong! Engaging your new cat in play and training sessions can be a great way to help them bond to you and feel more comfortable in your home, sooner. Yes, that's right ... you read that correctly ... you CAN train cats! Wanna hear more about it? Check out this fun Paws & Play podcast episode that Mia and I recently did with feline behavior and training expert, Dr. Marci Koski. When it comes to play for you and your cat, variety really is the spice of their life! Especially since you're just getting to know your new cat and you won't really know which type(s) of toys they really prefer, I recommend getting a variety of cat toys to increase the chances that you've grabbed toys your cat actually likes and will happily play with. Here are some fun cat toys recommended below, and see more on environmental enrichment for cats, including what it is and why you should provide it. This is also an interesting article from The Ohio State University on identifying your cat's "prey preference." The Tower of Tracks toy is a popular favorite with cat owners due to its multi-level, multi-track design and the hours of fun and entertainment it can provide. Wands are a different way to engage a cat. Some encourage "in the air" hunting, like feather wands, but the Cat Charmer Wand is a strip of fabric that mimics a snake as you drag it across the floor (or you can wiggle it in the air, too). Many cats can't resist this toy!! Prey sequence: Cats naturally go through a prey sequence when hunting in the wild. When playing with your cat encourage the full sequence during your play session to fully satisfy their hunting instincts. 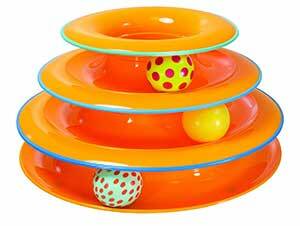 And find a variety of toys that mimic birds, mice, snakes, and bugs. And don't forget to give them their "hunting payoff" (i.e., some treats or a meal) after they've done their hunt! And it's not just balls and catnip mice that cats should play with ... it's also their food! Making your cat work and "hunt" for their food is a great way to provide them with both mental stimulation and a bit of physical exercise — both of which will help to keep your cat healthier and more well occupied. Check out our recommended interactive feeders and food puzzles for cats listed below, for both dry and wet cat food and treats. Catit Senses 2.0 Digger is a great interactive feeder that helps engage your cat's brain and slow down their meal time too, minimizing the risk of "scarf & barf." The Egg-Cersizer food dispensing toy is a fun-for-cats, popular, and inexpensive way to get your cat playing with their food. Doc & Phoebe's Indoor Hunting Cat Feeder System is a great way to get your cat hunting and working for their food. These little, stuffable, plastic "mice" are just too much for cats to resist! The Hyper Pet LickiMat comes in two varieties (designs). They're not that expensive, so some people buy both to give their cat a variety of eating experiences. 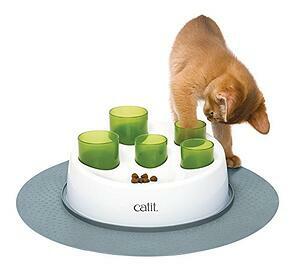 Trixie's 5-in1 Activity Center is actually for both wet and dry food, so you can give your kitty even more choice! Purebites freeze dried chicken makes for an excellent treat for many cats. Not only are these treats yummy and easy for a cat to chew and eat, but they're also easily transportable and can be broken up into even smaller pieces. 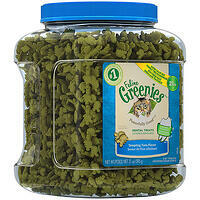 Feline Greenies dental treats aren't as easy to quickly chew and swallow, but that's kinda by design. The dental benefits are only seen if a cat actually takes the time to stop and chew these popular treats. Well, there you have it. A bunch of things and advice to help you help your new cat sail through their adjustment period! I hope this has been helpful as you (get ready to) embark on this fun and exciting journey with your new kitty. Enjoy! And should you find any other products or tips that help shorten or ease your kitty's adjustment period, or if you've got some products and tips you love already, please feel free to share them in the comments section below.